THANK YOU to the Logan-Hocking Community! 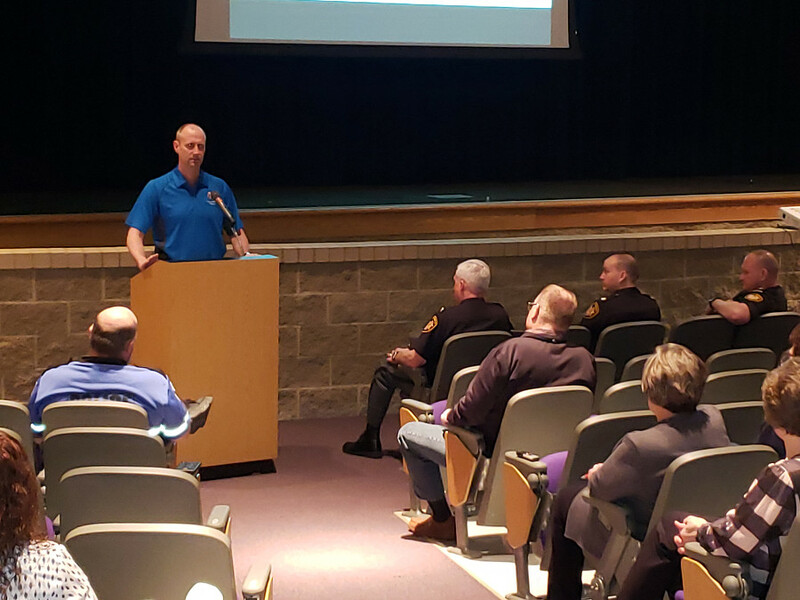 Superintendent Monte Bainter and the Logan-Hocking School District would like to extend a heartfelt thank you to all agency partners and community members who attended the School Safety Community Forum on April 3, 2019, at 7 PM, in the Logan High School theatre. 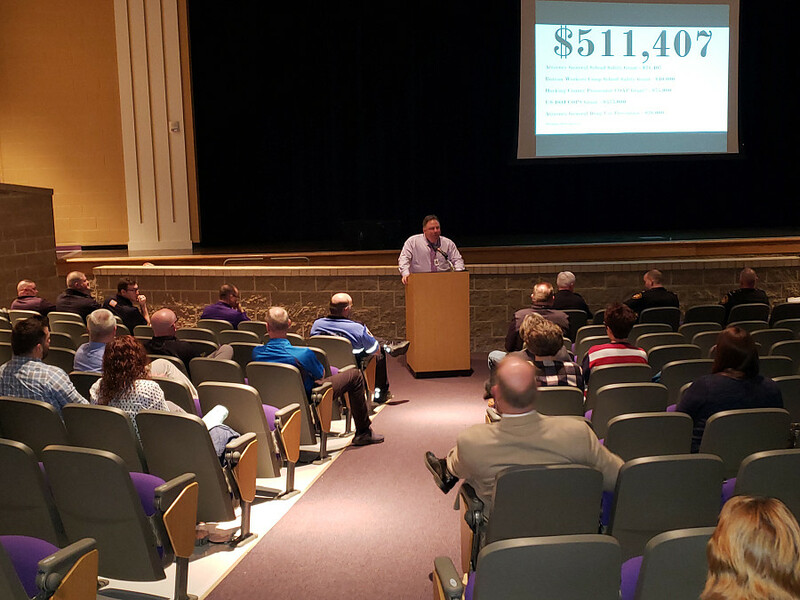 The evening’s purpose was to offer the community a full update on the district's progress, since last year's Safety Forum. 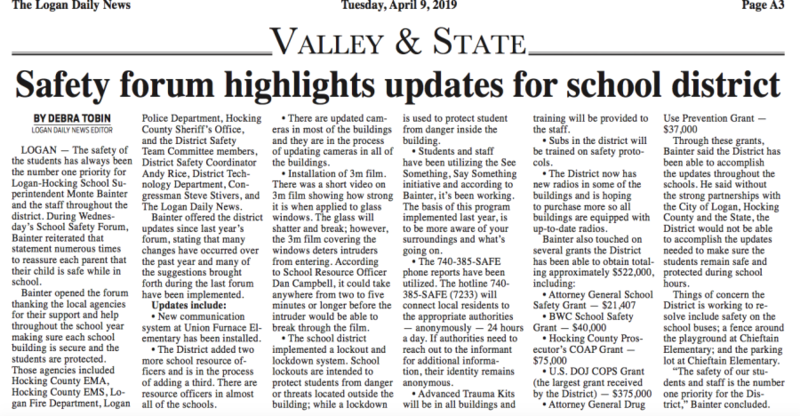 Those who were unable to attend are encouraged to read the recap below, and, The Logan Daily News Article ,as the update will likely leave you very proud of the the district’s commitment to keep everyone safe. 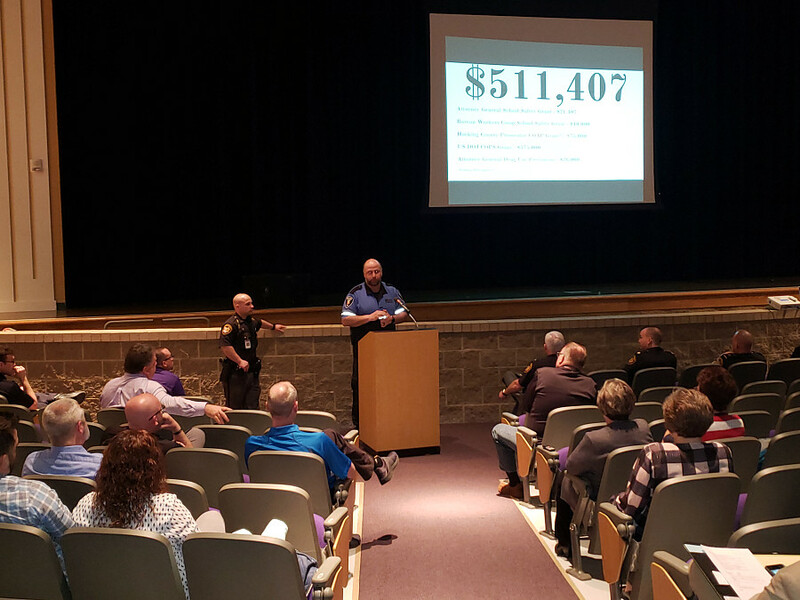 The amount of progress the safety committee and agency partners have made with school safety, in just one year, is impressive, as student and staff safety remain the top priority. -All buildings have done a Full Scale Emergency Drill; several have done -Tabletop Simulations. -Student/staff and community have been utilizing the See Something, Say --Something initiative and it’s working. -The 385.SAFE phone reports have been utilized, as well. -RFP is due for the addition of a full-time mental health specialist. 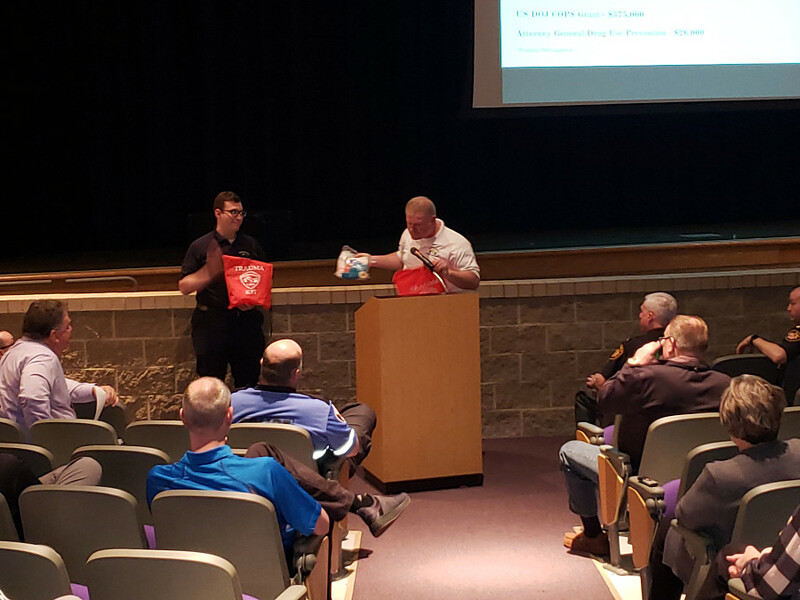 -We are deploying Advanced Trauma Kits in all buildings & training staff to use. -All subs in our district will be trained on our safety protocols. -We have deployed new radios in some of the buildings. -We are working to improve all of our communications systems districtwide (website, social media, direct calls, etc.). 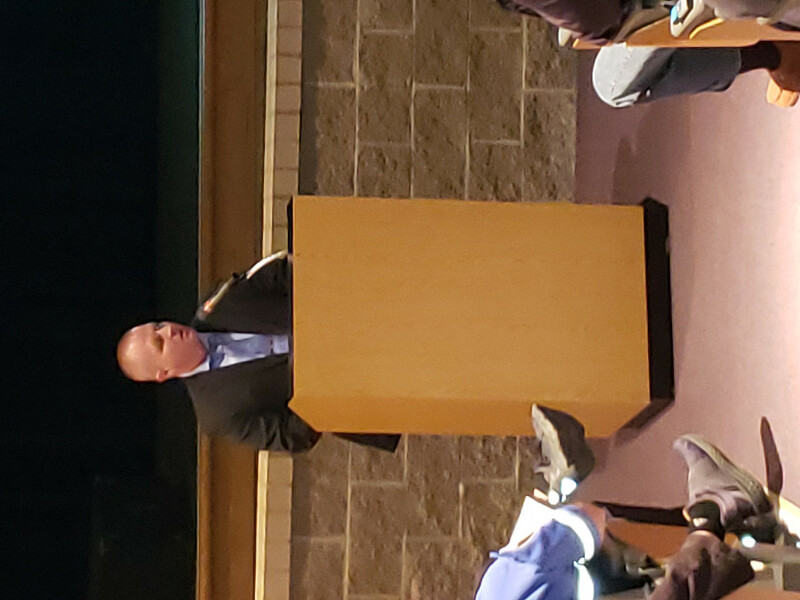 Mr. Bainter introduced the following individuals who were all present. 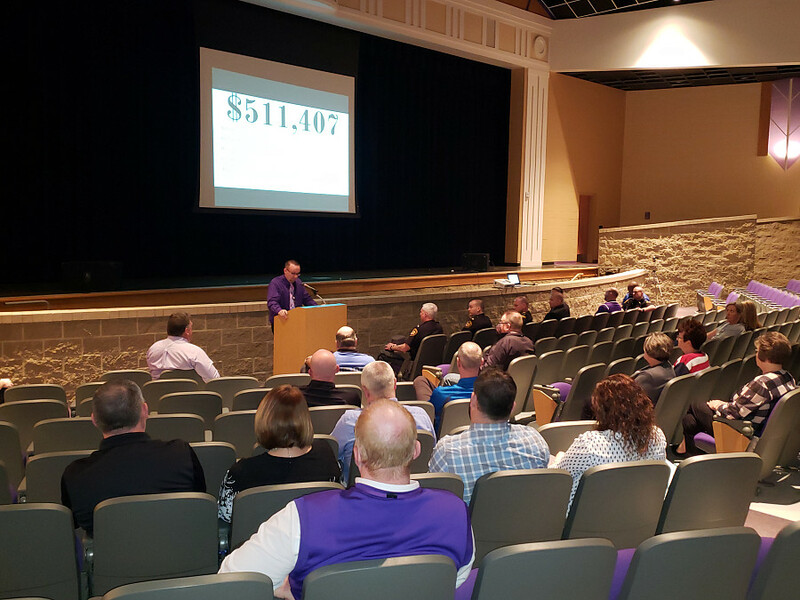 Mr. Bainter discussed funding and outlined the grants that have been awarded to the district this year. 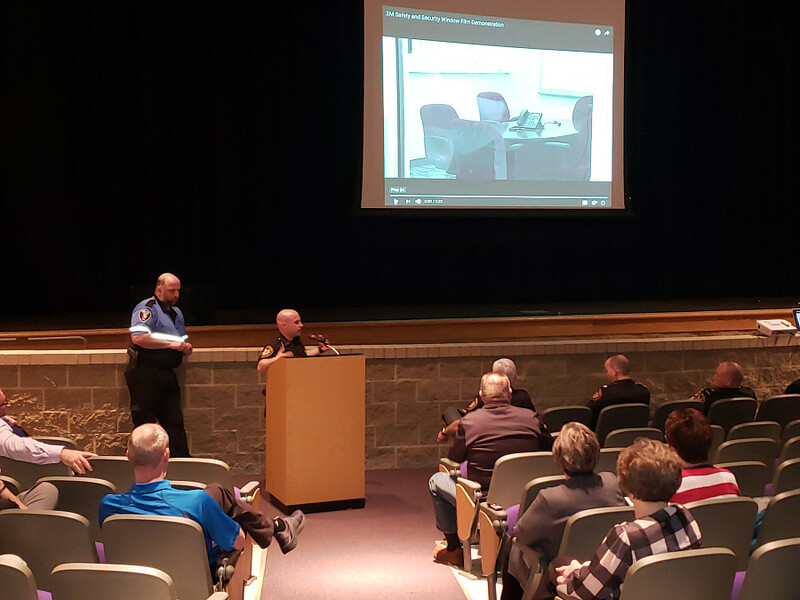 Strong partnerships with the City of Logan, Hocking County, and the state, allow us to do all this. Thank you to all the speakers for providing excellent updates. Mr. Bainter addressed the following submitted questions/concerns, while also welcoming any additional questions from the audience.